A fascinating glimpse of the Mughal emperor, courtesy Parvati Sharma's new book Jahangir: An Intimate Portrait Of A Great Mughal. As night began to fall, Jahangir went into the private chambers of the fort, no doubt to continue a more intimate celebration with the men who had stuck with him so loyally over the course of his seemingly endless princehood. The next morning, he would begin his rule. The Agra where Jahangir began his reign was one of the largest cities in the world, with 'so many buildings', writes the new emperor, that 'several cities of Persia, Khursan, and Transoxania' would fit in it. It wasn't as well planned or attractive as, say, Lahore, and it had exploded during the long years of Akbar's rule, much of which was spent in this city, growing somewhat organically around the Agra fort. Most of its glamour came from the massive fort and the mansions of the nobility that flanked it along the banks of the Yamuna. The city was thus shaped like a half-moon, the prime waterfront property forming its flat edge to the east and more modest homes its western bulk. The riverside, with its beautiful homes and elegant inhabitants, was, in the words of the Dutch trader Francisco Pelsaert, 'very gay and magnificent'. The bulk of the city, on the other hand, was built close and dense, houses often three or four storeys tall, Hindu and Muslim, well-off and poor all jumbled together in such congestion, said Jahangir, 'that one can scarcely pass in the lanes and markets'. It was a bustle not bereft of hazard. Both fire and sickness could spread with frightening speed; once, Jahangir found himself exiled from his own capital for months because of a virulent plague. William Finch describes a conflagration that lasted for about six weeks in the summer of 1610, 'fires night and day, flaming in one part or other, whereby many thousand houses were consumed, besides men, women, children and cattell, [so] that we feared the judgement of Sodome and Gomorrha upon the place'. Still, this being a city of the garden-loving Mughals after all, hazards like fast-spreading fires were off set by a 'luxuriance of groves all around', which, said Pelsaert, made it look more like 'a royal park rather than a city'. Jahangir gives a vivid description of the many sweet smells that wafted through the town in which he grew up: Of the delicate scent of yellow champa; of keora 'sharp and heady' and jasmine-like rae bel; of maulsari, growing mild and profuse upon its 'stately, harmonious and shady' trees. The trees themselves were no less varied, many from other parts of the world, from cypresses and pines of temperate climes to sandalwoods from 'the islands'. Mangoes ('My particular favourite,' says Jahangir) grew abundantly here, of course, but the Mughals had planted other fruits, too -- every year, for example, the Gulafshan garden, laid by Babur, yielded thousands of sweet pineapples. Not far from the fort was Agra's main market, where every morning one would find 'horses, camels, oxen, tents, cotton goods, and many other things', while across the river, in Sikandra, there was a custom house where ships and bullock carts would come and go heaped with goods from and for all parts of the empire and beyond, from cotton and carpets to butter and grain. The man in whose name, under whose protection and for whose profit all this frenzied activity continued and expanded -- Emperor Jahangir -- began his reign with what would become a sustained effort to give his people the two things that a busy economy needs most: Justice and peace. The Jesuits say that Jahangir declared himself the Adil Padishah, Just Emperor; and by his own account, Jahangir's first act as king was to command the creation of a Chain of Justice. In this, he may have been inspired by his grandfather Humayun, who had installed a drum near his hall of public audience, which anyone present could beat should he need the emperor's adjudication. Jahangir's chain was both more flamboyant and expansive: 120 kilos of pure gold strung 25 metres from a tower in the fort to a stone pillar by the river below. Anyone, he declared, 'who had suffered injustice could have recourse to the chain' and its 60 golden bells would peal their grievance directly to the emperor's ear. Whether or not anyone ever did so is perhaps beside the point. From the beginning of his reign, Jahangir wanted to position himself as a saviour of the downtrodden, distributing both justice and prosperity -- so much so that ten years later he would commission a startlingly propagandist painting of himself shooting arrows at a shrivelled old man representing poverty. Having ordered the Chain, Jahangir broadcast 12 benevolent decrees: He ordered the building of sarais and wells on deserted roads to drive out bandits, and of imperially funded hospitals in large cities; he guaranteed inheritance of property without State interference and commanded that proceeds from property without heir be used for public infrastructure; he forbade the searching of traders' cargo without their permission, the use of civilian houses as barracks, and the cutting off of ears and noses as punishment. In continuation of what Badauni had considered Akbar's policy of Hindu appeasement, Jahangir forbade animal slaughter on the day of his accession (Thursday), of Akbar's birth (Sunday), and, each year, for a number of days equal to the years of his own life (that number to increase, naturally, with every passing birthday). To please the mullahs, Jahangir banished certain un-Islamic taxes and also the manufacture and sale of alcohol. On this last point, however, he couldn't help inserting a caveat that is not only an indication of the emperor's playful mind, but also, perhaps, of how seriously his new decrees would be taken, even by his own self. Having prohibited 'wine, spirits, or any sort of intoxicant or forbidden liquor', Jahangir confesses, quite charmingly, that he is doing so 'despite the fact that I myself commit the sin of drinking wine and have constantly done so from the age of 18'. There follows a brief but precise chronology of his alcoholism and de-addiction, ending with a regal disregard for the facts: 'These days I drink solely to promote digestion'. 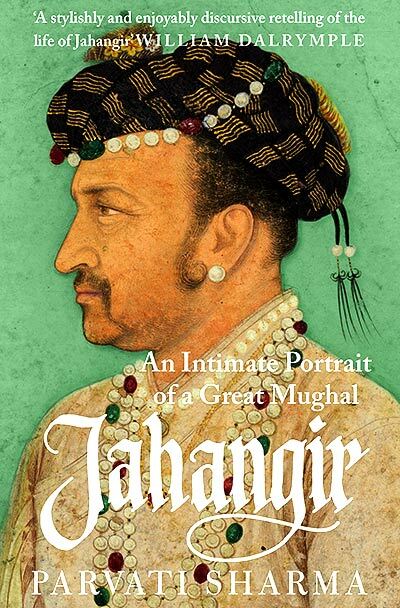 Excerpted from Jahangir: An Intimate Portrait Of A Great Mughal by Parvati Sharma, with the kind permission of the publishers, Juggernaut.